Bill & Maralyn Yelding and Roy Matthews merged their wheelbarrow businesses together in 2015 to create Wheelbarrows Direct, and have had amazing success ever since! The Yeldings noticed the sizeable gap in the market when it came to good quality wheelbarrows, and were determined to create the best. It’s all too easy to be taken in by a cheap wheelbarrow, but in the end, it will just make your job much more difficult. Top of the range Yelding wheelbarrows make heavy loads and mucking out so much easier. Thanks to their sturdy make, each Yelding wheelbarrow is easy to push despite their weight capacity, and they are easy to tip as well! The Yeldings are more than happy to put their name to their wheelbarrows, as each one is used by the family themselves around their own yard every single day. Customers swear they’d never buy from anywhere else after experiencing their superior wheelbarrows and excellent customer service first-hand. However, it’s not just top quality that sets Yelding wheelbarrows apart from the competition. With a range of funky and quirky solid colours, their wheelbarrows are as fun as they are reliable. You can even get a custom name on the sides of your barrow if you wish – the only limit is your imagination! The Yelding name stands for quality, service and longevity, as is clear from consistent 5/5 ratings from customers. 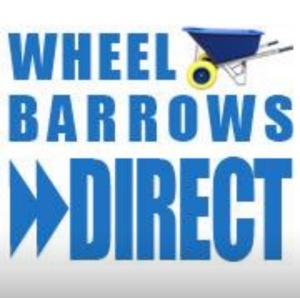 Top quality and lightweight, each wheelbarrow is also delivered fully assembled, complete with a five-point safety check with FREE and fast delivery! If you’re looking for the best in the business, Yelding is the brand you can trust.